...more newly posted videos, including Anousheh does a flip in zero gravity. Also playing on YouTube and Google Video. On YouTube, Anousheh sends special thanks to all Iranians. I guess you are resting and enjoying after such a trip. One thing I’d like to ask you is that why you said you can’t speak Farsi in this video? I assuem by “can’t” you mean you are not permited, because we all know you Farsi is your native langauge, and you speak Farsi with your family. So, if that is the case, and you officially were not allowed to speak Farsi, why then Mike could give a message in Spanish which I saw on Nasa Tv. Anyways, have an excelent rest, and you really were welcomed with those beautiful Roses, and falling apple! Anousheh Ansari, the first Muslim woman who explores the outer space has landed safely yesterday….. While the caption of your picture reads:Anousheh Ansari welcomed by her husband,Hamid as her capsule Soyuz TMA-8 landed in Arkalyk, Kazakhstan. well done Anousheh. We are not Iranians,but we take great pride of your achievement. Welcome home. We really missed you. I beleive that you and your close friends are going to change SPACE INDUSTRY. Go ahead and God Bless You. I am still covering your news in http://www.spacescience.ir , so please let my friends in “spacescience.ir” and I know more about your next activities. We love you & you never forget your lovely compatriots too. مثل کامنت قبلی میگم! همه ما دوستت داریم…. I am glad that you are back safe and blogged about your experience online… say I would love to interview you for my independently produced show, the Expat Podcast. I have interviewed folks from Europe, South Pacific, Southerne Cone… but, one who has conquered SPACE… I would love too. In any case, thank you for such amazing tales of adventures in a space pod, now wouldn´t people like to hear about it on their ipod? Thanks again. Thank you for the tremendous cost in leading the way as a space ambassador. It’s a beautiful thing to see a woman in space without having to feed into the world wide war machine by joining the military. Spoken from experience – as 20 years ago I was in boot camp at Parris Island, South Carolina, USA. Please be encouraged to persevere. Kind wishes for a blessed and peaceful Ramadan. my name is Tina i am 10 years old and I am also from Iran you have inspired me so much and i am really glad that you went to space it must be beautiful up there i am glad that you went to space and you must of inspired lots of kids. and when i read more ur scrapes & more about urself i realy find u near myself. u know ,i don’t know why or if it is funny or not but i dont think that its unreachable for me too ,it’s realy all my dream to be free from any any earth and thinkes on its, gravity. well done Anousheh. We are not Iranians,but we take great pride IN your achievement. Your body of work before this flight was quite an achievement, and now having accomplished something that most people perceive to be the impossible- simply extraordinary! Glad you are safe back home. As others have said before me, and will for a very long time… thank you for being an inspiration to women, Iranians, Muslims, and anyone else who has ever sought to reach out, accomplish, and become more. Thank you for making so many people so proud, and of course for sharing your marvelous journey (which I’ve enjoyed reading tremendously over the past couple of week) with us. با عرض سلام خدمت خانوم انصاري. بسيار خوشحالم كه اولين توريست زن جهان. اولين ايراني كه پا به عرصه نهان گذاشتيد هستيد. اينم بدونيد كه همه ما تو اين چند روز سخت دنبال خبرهاي شما رو ميگرفتيم. I am from Iran .I take a pride in you. Hola, mi nombre es Cecilia, tengo 22 años soy de Argentina y me parece muy valiente en una mujer tomar semejante determinacion, una experiencia fantastica. me encantaria hacerlo si tuviera los medios como para hacer semejante viaje…pero como es imposible y mas en un pais como el mio.. en el que cada vez va peor economicamente…en mi vida me fui solo una vez de vacaciones… despues nunca mas por que mi pais empezo a decaer y todo aqui es muy caro y se complica todo demaciado, algunos apenas comen… pero no escribo aqui para eso…te dejo mi mensaje por que me gustaria ver mas fotos de tu viaje, saber si sacaste mas fotos dentro de la nave.. desde alguna ventana hacia el espacio… ver que viste.. no se! es tan emocionante.. debe ser increible! I am from Iran and take a pride in you. i as an iranian am very proud of your achievements and ambitions.you are a great example of ”khastan tavanestan ast”.have a great day. متشکریم وبرای موفقیتهای بعدی تو دعا می کنیم. i saw last night your landing, and my heart was full of proud of you, as you said there is no border for imagination, and you proved it actually. ma ham be onvan yek irani mikhasteem safar shoma ra ke baees ghoroor har irani mishe tabrik gofteh v arezooe moafagheyet baree shoma dareem . Congratulations!!! Welcome back Anousheh!! Cheers…. It’s always amazing to see an ambassador coming back from his/her mission. You compared your mission with trip to Mekka (Hadj) or Jerusalem, which I believe is comparable. But I want to add one more point: You are not only the ambassador of Space for the general public, but also has served as an interpreter of strange space language for them. Your lovely writings which were glances of your deep emotions and sentiments strongly have affected many many spirits and souls all around the world. I hope, after taking a long hot shower (lol) and sleep, you be able to start the next part of your mission to make all peaceful thoughts united and to free our world from all those wars, quarrels, and conceitednesses. Good luck, and wish to hear and see you in the space soonest! I was looking forward to the moment I heard ONE farsi word from your lips, I really cannot imagine how some person or some obscure “politicaly correctness” issue has forced you to forsake the chance, this will make you no less of an Iranian, although many hearts here are broken. انوشه جان فرود موفقت آميزت را تبريك ميگويم و اميدوارم شاهد ساير موفقيت هاي شما باشم. Welcome back to home. I hope one day, as soon as possible, all of us can go to space easer than your trip.Thank you again becouse you showen to people of world, thay can do every thing when want from deep your hart. All of us Iranians are so proud of you,i got so happy when i heard that you came back healthy. i hope at least Iranians women learn from you that they can do whatever they want.you are unique! It’s embarrassing now that I’ve read your entire blog, but I didn’t pay attention to your incredible journey until this evening. My loss! Your writing is so amazing…..I know so little about space, but your description of your experience joins us all to you. I keep seeing how others agree with this. I hope that you know that your adventure, and your ability to so beautifully communicate it, could truly spark inspiration in a whole generation! If there is any way I can get the word out, I am happy to help. Thank you for helping the human race get several steps closer to space, to your vision, and (hopefully) to each other. Thank you Anousheh….THANKS A LOT! We all are proud of you and it’s really worthful for us to hear the name of dear IRAN from space!!! But just a question! Why you couldn’t speak in Persian (Farsi!) ?! Congradulation,You revive the dreams of me and other Iranian people to become an astronaut.You bring proud,”EFTEKHAR”,happiness,loveand good sense for people of Iran also educated people.I am very happy and proud for your success and your frontier goals.You are very clever.we appreciate you.I am as the same age as you and my chilehood dream was as you and now you perform my dream.Thank you very much. امیدوارم همیشه موفق باشی تو باعث افتخار مردم ایرانی ،حداقل اونائی که میدونن تو چکار کردی . خانم انصاری من هم مثل شما عاشق فضا هستم وآرزوم اینه که زمین رو بدون حدود ومرزسیاسیش ببینم . وقتی فیلم شما رو در ایستگاه فضائی دیدم خودم رو جای شما گذاشتم .خیلی خوشحال شدم . I got so glad that see one of my people reach to this point… being an astronant is one of my wishes and maybe latest one we will never forgot you .dear Anousheh you can never image how much IRANIANS love you. we hope u r doing fine. Congrats! So smart, ambitious, achieved, beautiful! You are an inspiration to men, women, children, black, white, Christian, Muslim, humanist, worker and artist . . . a REAL unifying force. I would like to express my best admirations and my sincerest heartfelt wishes to you. In my eyes you are the most successful lady from Iran who has made a great turning point in the modern history of our nation. You managed something that is a dream for all of us despite ….. You taught me a great lesson that nothing in this world is unachievable. I love you with my heart and send you thousands of kisses. من هم مثل شما از کودکی آرزو داشتم فضانورد بشم هر چند آرزوی من برآورده نشد اما وقتی شنیدم شما بهآرزویت رسیدی بی اندازه خوشحال شدم. I am a 23 year old girl living in Iran. I had been following the news of your flight from day one and reading your amazing blog. I watched you one night as ISS was moving across the sky. It was a glorious view. I even got so excited I waved my hand and called your name a couple of times. (I hope my neighbors did not notice!). Any way, I just wanted to write to you to tell you that I too was inspired a lot by your journey. My dream may be hard to come true, but thanks to your inspiring words, and your beautiful dream that you made come true, I will never ever let go. And another thing, thank you so much for sharing this amazing experience with the rest of the world. You sure answered a lot of my questions about spaceflights and living in space. I was extremely concerned about your return trip; it was a relief to see your smiling face again in the videos after your landing! I wish you thousands of new dreams; I know you will make them all come true. I could not control myself from weeping , I mean cry of happiness . a happiness which has been resulted by an Iranian , and that an Iranian Woman . I very much hope that others specially Iranian women start to think , contemplate and use their god given brain with a view to discovering that ” there is no difference between a man and a women ” and for this reason try to step forward and behave a bit actively rather than passivelly . all the very best for you , your hasband and your familly . mikhastam az tahe del beheton tabrik begam va begam shoma eftekhar ma iraniha hastin. I deeply appreciate you .you are a true definition of an IRANIAN lady. Genius ,brave, powerful,civilized. Now ,all the people in the world know that Iranian women are so intelligent.Please have a short trip to Iran. We want to make a national celebration. VIVA dear Anosheh and VIVA IRAN forever. Welcome home, Anoushesh. I thoroughly enjoyed reading your space blog recently. I hope that space tourism will make it big one day so as to be enjoyed by the masses wanting to get a real glance of outerspace. I wish you well in all your endeavours. god take care of u.
Ma 2 daneshjoie irani hastim ke dar moscow tahsil mikonim, vaghti to dar rusie boodi kheili talash kardim to ro bebinim va az nazdik bahat sohbat konim ama movafagh nshodim, moteasefane vaghti ham bargashti kilometra door az ma boodi va baz in arezoo dar dele ma moond. omidvarim bar dige ke be mosko omadi betoonim bebinimet, chon to maie mobahate har irani va bekhosoo zanhai irani hasti. inja hame doostane ruse ma har rooz az to sohbat mikardan, bazi ha migoftan in kar faghat ye boland parvazie, ama ma fekr mikonim hamin ke to esme irano baz sare zabonha avordi bozorgtarin va mohemtarin natije in safare, akhe ma inja be khatere irani boodan moshkelate ziadi darim, ama ba in hal eftekhar mikonim ke irani hastim, va harchi ham az in babat tahte feshar bashim mohem nist, tanha arezoomon ham ine ke yek rooz ma ham betoonim mesle to name irano bare dige ba eftekhar sare zaboona bendazim. be har hal dooset darim va omidvarim javabe name ma ro bedi, ma englisi ham midoonim va age barat moshkele mitooni englisi benevisi, in paiamo be farsi neveshtim chon farsi zabane dele mast va harfe delo nemishe be zabane bigane goft. Praise be with you. You are a clear exemplification of an Iranian character. Congratulations! I would be grateful if I could have an interview with you for the English-daily “Iran Daily”. من به قدری از این کار شما خوشحالم که نمیدانم جه بگویم!! تو باعث افتخار ما ایرانیان هستی…. پیش خودم فکر میکنم باید کاری کرد که روزی از ایران پرتاب شویم به آسمان مهربانی خداوند. I’ve been so many times emotional with tears of joy since you started your journey. I am so proud of you!! Hi,you really impress all people who heard about you,I think everybody has a unique way to reach successful,get knowledge,have a good life and to be close to God;you find your way and follow that,it is really valuable,Dear Anoushe I’d like to make a request:please write a book about this important event,however there are so much information on your weblog but I think such as this book has worth to write(to remain for ever). You nourished your childhood dream of visiting the heavens and at long last accomplished what many times may have seemed impossible. We are proud of you and your soulmate whose support has no doubt made your journey all the more precious. Now that you’re home safe, our only prayer is that you might use your platform and stature to highlight the horrific conditions of many Iranian women whose wrenching cries have reached the heavens for so long only to no avail! درودواحترام به وسعت كهكشاني كه ديدي برشما،براي غروروافتخاري كه به ماايرانيان هديه كردي. هيچگاه فراموش نخواهيم كردودرودبرخانوادهاي كه همچين شيرزني به جهان هديه كرد. YOU ARE PRIDE ALL OF OUR IRANIAN , ESPECILLAY WOMAN AND CHILDREN WHO ARE INTERESTED TO SPACE.WE HOPE ONE DAY , THIS OLD WISH HUMANITY WILL GO REALITY AND IN IRAN ALSO , WE MAYBE WOMAN AS YOU TRAVEL TO SAPCE AND DICOVER NEW WORLD FOR SKY AND SPACE. HOPE YOUR NEXT TRAVEL TO SPACE AND NEW DISCOVERY. امیدوارم حالتون خوب باشه.بهتون تبریک میگم و خوشحالم ازاینکه در این دنیا حداقل یک نفربه ارزوش رسید.براتون دعا میکنم و امید وارم یک روزاز لحاظ علمی وروحی مثل شما بشم خیلی دوست دارم که باحاتون حرف می زدم ای کاش می شد…..به هر حال خوشحال میشم اگه بهم جواب بدید..
congrtulatin , to you and your family . سوای همه مشکلات و همه دگراندیشی ها از شما خانم انصاری انوشه عزیز تشکر میکنیم که یک بار دیگر حس ایرانی بودن رو در رگ های ما به جریان واداشتید. آرزوی ماست همواره شاد و سر زنده همانند نامتان در کنار عزیزانتان بمانید. I just watched several of the videos posted on your site, and I was moved to tears by your message. I have been inspired by you, and I promise you that I will work to inspire others to be the change. You are a beautiful person. Thank you. i am so sorry for our great nation that now days unfortunately is going down . be omide rozegare roshantar baraye iran aziz. az inke be salamat in safar ra be payan resandid besiar khoshhal hastim , va arezooye movafaghiat dar tamame arsehaye elmi ra baraye shoma khastarim. من خیلی خوشحالم که شما به عنوان یک ایرانی به این موفقیت بزرگ دست پیدا کردید و بهتون تبریک می گم. شما مایه افتخار تمام ایرانی ها هستید. خانوم انصاری تبريک ميگم بهتون..
انوشه جان آرزوی موفقیت دارم واست . همه ملت دوست دارن !!! az inke name iran ra sarboland kardid mamnoon. my name is masoud from isfahan. First of all I’m so glad that you could reach your life time dream. When I first heard that you had paid 2 million dollars to go into space, I thought it was a selfish action, with so many starving around the globe, but then after seeing the results of your expidition, I see more then a just cause, you have place thoughts around the world up in space and away from war. increasing there emotional tone, makeing it better for them to handle their day-to-day life. What you have done is fantastic. in ye energy va rooya misaze ke har kasi mitoone be har chizi berese … be nazare man in kar az inke tammamo oon pool ro kharje adamaye niazmand koni arzeshesh bishtare ..
hamoonjoori ke motmaenam khodet in hadaf ro donbal kardy ..
khoshal misham age be emaile man mail bezani ta man addrese emailet ro dashte basham o betoonam har chand vaght yek bar bahat sohbat konam … engar koli harfe nagofte vasat daram ..
man montazere pasokhet mimoonam .. I didn’t underestand why you can not speak farsi in your message? you mean you can not speak Farsi at all? I’m living in Toronto and I don’t know any Iranian who can not speak Farsi even if they have left Iran 50 years ago! Anyway, I wish you all the best and would like to let you know that we are all prode of you! Wow ! You are so terrific! I really admire you for that…you are such an inspiration to many, most especially to most women. What you did will be the start of a more expoits. Truly, nothing is impossible for a person so determined like you. You are great ! welcome back!!! Iam so proud of you.You raised the name of Iran and Iranian up to space.Your name and your memory will stay in our hearts for ever.Thank you so much. Congratulations for your achievement:you indeed have impressed all of us who are bound on earth that there is lots more to do and experience. We are all pround of you…. In such sad times for humanity, the views and perspectives you share based on your journey into the vast infinite we call space, surely provides much hope to a world in dire need of hope, compassion and humanity. کاش ما هم می تونستیم تو جایگاه شما باشیم و ببینیم که دنیای ما ( زمین ما ) چقدر کوچیکه و ارزش خیلی از کارا رو نداره . با مهربونی و صلح میشه اونو بزرگ کرد . Whatever you have done and achieved, is a great source of inspiration. Keep up the good job!! First,congrats on your trip.I know you enjoyed the experience.I have always been curious about space travel.Given the risks and I had the cash and passed the physical I would go in a heartbeat.I would just like to know WHAT IT WAS LIKE LEAVING THE PAD?It seems to be a smooth ride from an outside view.I hope you can find the time to explain what it was like.If the subject has been covered,I didn’t see it. با عرض شاد باش وتبريك به خانم انوشه انصاري كه باعث افتخار همه ايرانيان در سراسر دنيا شديد. and because you are a human and absolutely a great one. it is not only women and not only iranians, all poeple living in the world are proud of you. I am a 19-year-old iranian girl. I came to U.S at the age of 17 just like you. In these two years I have experieced lots of hardships, new language, culture, and being far from the family. I read your story and I know you have been through most of these, that’s why you are so special and inspirational to me. You’ve made me realized that if I thrive hard and don’t give up I can reach my goals. you are a couragous woman; your achivement has touched me. Now I am more determined than ever before to reach my goals. I want to be like you one day. I want to make Iran proud once more. Thanks for making me feel proud of my beloved country. May God bless you and your family. Keep on following your beautiful dreams. Well … you are in the Earth , welcome home ! Iran and maybe other countries I find that most of the dreams are unreachable or at least very hard to beleive in implementation in spite of the fact that our/their dreams never needs $ 20m to achieve! our world if they beleive their great goals. انوشه جان ، تشبیهی که در آخرین ساعاات اقامتت در ایستگاه بین المللی فضایی از زمین داشتی و یادآوری سنت قدیمی چهارشنبه سوری واقعا به دل همه هم وطن هات نشست. واقعا تشبیه زیبا و پر معنایی بود. برای تو و حمید و همه خانواده بهترین ها رو آرزو می کنم به امید موفقیتهای بیشتر. az bachegi arezoo dashtam fazanavard aham.hata alaan ke 21 saalame na tanha eshgham be faza va keihan kam nashode ke bishtar ham shode,fekr mikonam tanha kasi ke haale mano mifahme shoma baashid.tabrik migam va baratoon khosh halam chon hade aghal mesle man ba hasrat az donya nemirid. well done and i congraduate you for your achievement. i hope you will be inspiration for my daughter amelia. Professor Alex Seifalian, London, United Kingdom. با سلام وبا تبريك به شما به خاطرتلاش وكار ارزنده تان. i cant say anything special i just say you are best of best. you have done something which every iranian can proud on it. we all love you. really dont know what to say ? Shoma tarikh ra mesleh pishtazan digeh neveshtid. Dunya va Iran beh shoma khahad balid. Man esmeh shoma ra keh ba X-Prize hamrah bood shenidam va az haman vaght shoma ro beh doostan va ashenaian neshon midadam. Bayad begam keh shoma kheili shabih beh man fekr mikonid. Az tarafi digeh hamkar ham hastim. Bedoneh shak raftan shoma beh faza baad az “Path Finder” & “Opportunity-Spirit” beh Mars planet va raftan “Cassini-Huygens” beh Saturn planet va mahash Titan mano kamelan hayajan zadeh kard). Omidvaram khabareh piroozihayeh baadi shoma ra zoodtar beshnavim. welcome back to earth. i dont know what you were feeling when you were in space.it had been surly exciting and even more .some feeling that no body can understand .but i would like to know,what was your feeling about God there?could you imagine to be closer to God? but any way , as an iranian i am very proud of you. good luck and have a nice life. you can’t even imagine how much happy and relaxed i got when isaw you came back healthy to our dear planet, the earth!!!!!!!! good luck and rest as much as you can. خانوم انصاری واقعا از ته دل تبریک عرض میکنم و از اینکه ی ایرونی تونسته اینقدر افتخار آفرین باشه احساس غرور میکنم. you have done very well….i hope that many people will be inspired by u….its my dream also but with my family…. You are the best iranian woman that I prefer that You stay in america but you must think about iranians too. Thanks.pleas send me some your priovate pics from space. آفرین . روسفیدمون کردی . IN MOVAFAGHIYAT RO BEHET TABRIK MIGAM. بالاخره نام زیبای ایران در خارج از جو کره خاکی (زمین) نقش بست و ما ایرانیان این در این امر غرور آفرین مدیون شجاعت. کنجکاوی. و اراده بینظیر شما هموطن عزیز و و همواره شاکر خداوند بزرگ هستیم بخاطر تمام عظمتش و قرار دادن انگیزه عملی به یادماندنی در فکر و قلب شما هم میهن افتخار آفرین. امیدواریم همواره در راههای پر غرور و افتخار آمیز قدم بردارید. You are world honour specially Iranian girl.Iwish you were happy and health. man nazanin 17 sale az iran in e-mail ra baraye shoma send mikonam. kheili dost dashtam be jaye shoma boodam. kheili behetoon eftekhar mikonim.va tamame talasham ra mikonam ta dar ayande zane movafaghi mesle shoma basham.va be arezoham beresam. I WAS VERY PLEASED TO SEE YOU AGAIN ON THE EARTH IN TV NEWS AND I HOPE YOU HAVE MORE SUCCESSFULL IN YOUR LIFE. I WISHED TO HEARED YOUR MESSAGE IN PERSIAN BUT NEVER MIND THE IMPORTANT THING IS YOUR ACTIVITY WHICH WAS DONE. I HOPE YOU COULD HELP TO MAKE A SPACE SITE IN IRAN TO HELP ANOTHER GUYS TO ACHIVE THEIR DREAMS. omidvaram ke zabane farsi ro ham yad begirin…! کار شما در دنیا تک بود البته همه مردم ما می دونن که شما فقط برای تفریح اینکار نکردید و مایه افتخار همه ما ایرونی ها هستید. هر کس به سهم خودش باید کاری بکنه که برای ایران افتخار آور باشه. تولد دوباره شما را از صمميم قلب تبريك ميگم و به شهامت . جسارت . و پشتكار مثال زد ني شما افتخار ميكنم و بعنوان يك هموتن بشما ميبالم . سبز و پيروز باشيد . AZ IRANI BUDANAM AZ IN KEH BA TO HAMVATANAM KHILI GHORRUR MIKONAM. OMIDVARAM KEH HAMISHEH MOVAFAGH BASHID. HAMISHEH RUYE SHOMA BEKHANDEH. TO GHORUREH HAMEYE IRANI HAYE DER JAHAH HASTI. BE TO VA KHANEVADEAT SALAM MIGUYAM. DURUD BE TO EY DOKHTAREH MASHREGH. Along with your space tavels, please spend some money and time on freedom of Iranian youngesters who like you have the the wish to be freed of the the gravity, but not the earth’s but the Islamic Regime’s. The gravity of a BLACKHOLE! I’d like to know if you saw any UFOs in space. As are lots of them seen on the NASA footages. فقط مي تونم با زبان شيرين فارسي از شما تشكر كنم و بگم كه من هم مثل خيلي از دوستان ديگه لحظه به لحظه با شما بوديم و حتي لحظه به لحظه احساس شما را به لطف نوشته هاتون داشتيم. ba salam va arezooye moafaghiat baraye shoma. baraye shoma va hamsare khoobetoon arezooye moafaghiat mikonam. امیدوارم همیشه در پناه پروردگار شاد سالم و موفق باشید. I hereby as an Iranian journalist should congragulate you and your family for what you have done in recent days. As I have mentioned,i am a journalist and would like to have an interview with you if you do not mind. It would be a pleasure if you accept our invitation for the interview and reply kindly to our questions. از اين كه به آرزوهاي زيبا يتان رسيديد خوشحال هستم‘ اميد وارم در تمام مراحل زندگي همچنان موفق و سرفراز باشيد . از صميم قلب مي بوسم تان .واز اينكه پرچم ايران را با افتخار به بازويتان زديد و از اصالتان برنگشتيد سپاسگزارم. The best wishes to you .Iran proud of you. خوشحالم که به سلامت برگشتید و بهتون افتخار میکنم. Congragulation!It is hard to be like u , but me and my wife try hard to continue our edjucation and see u in US.Is it a big deam?! Congratulations to a beautiful, smart and ambitious American-Iranian woman. I commend you for paving the way for young women everywhere to think big and then be brave enough to put it into action. May God continue to bless you in your future endeavors. 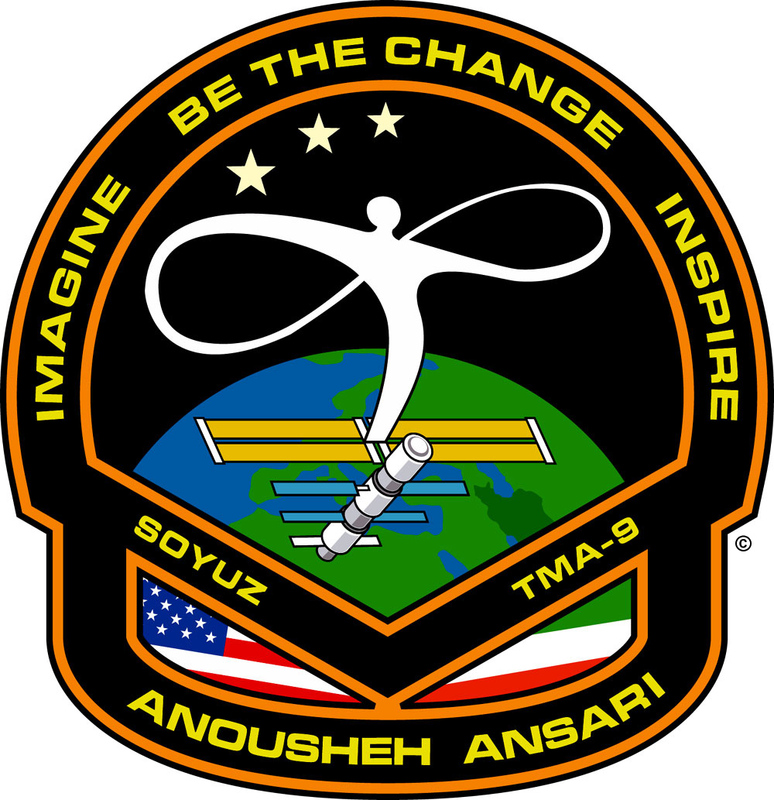 Salam Anousheh I hope you had a great time in space at the ISS. I bet you got in space and took off your seat belt and saw earth you were amazed. Now that you are the first persian female space tourist you will be admired by lots of people around the world and in Iran. I am also from Iran too and i admire you. Best wishes you will go to space again in the future and you will need rest time and spend time with your family. On behalf of majority of Iranian women I want to thank you for making us proud to be “Iranian Women”. You changed the world’s view of Iranian women. Keep up the good work. We are all looking up to you. U R Welcome , i hope best regards for you and your family. Have a nice moment & best wishes! Have anice day in earth! هيچوقت نمي تونستم برای اونها نمونه ای معرفي کنم که چطور مي توان درايران زاده شد، بزرگ شد و يک شخصيت بزرگ جهاني شد که همگان فارغ از رنگ و نژاد و زبان دستاوردهای اورا دستاورد نوع بشر بدانند. Hi, my sister Kathryn says she was in the same class as your brother at CHS in Tehran. Did you also attend Community? Congratulations on your achievements! Great job . . .
You made a very well organized endeavoue ,and you achiened to make a golden point in the history.I suppose that all Iranains , particularly ladies should be very proud of you. Welcomeback home.I am sure you already miss that wonderfull magnificient space! You made a very well organized endeavoue , and you achiened a golden point in the history&science.Good for Hamid who has got your nice company !!! I suppose that all Iranains , particularly ladies should be very proud of you. The gratest consequence of what you did is reviving the sense of ”Self-croyance” in them and also new generation outside&inside Iran. Within the period that you were away , I managed to make other nationals familiar with you and your graet achievment in my university in Québec. As a scientific goal ,I suggest that you arrange a conferance /seminar in your neighboring country ,Canada,just like what you did in UNI. of George Washington.There is a big community of Iranians here , specialy in Montréal , who will be quite pleased to hear more from you.Undoubtedly the association of Iranian students of the 3 UNI.s in Montréal will be pleased to assist you. As an Iranian female student ,about your age,who tries so hard for achieving her goals , I appreciate what you did and can just imagin your feelingsup there. I suppose that your view to the world has now fully changed to a philosophic one ! I am unable to find right words to express my feelings , happiness and gratitude to you. All I can say is :Please try even harder to show Iranians,specialy ladies that they can be successfull and achieve their real rights,just if they want to and if they try hard. As I am in your neighbouring and not too far from you,I will therefore be more than happy to take any step to help you and your company. With all best wishes to you and your family. انوشه عزیز سلام.واقعا از اینکه به سلامت بر گشتید خوشحالم و بهتون تبریک میگم.من مشتاقانه کاراتون رو دنبال میکردم و الان هم منتظر دیدن و شنیدن تجربیاتتون از سفر به بیکرانها هستم.امیدوارم در همه مراحل زندگیتون موفق باشید.سفر به فضا و دیدن قدرت و عظمت خدا همواره آ رزوی من و شاید خیلیهی دیگه هست .خوشحالم که به ارزو تون رسیدید. hi, i read your experience being traped in a node, i think you can contact your friends in the ISS to see if they can manage to escape the node by deep breathing in looking on the right sholder and blowing out looking on the left sholder, if it does cause a spiral rotation try breathing looking at the feet and blow out looking up (to align the air flow close and parallel to the line from mouth to center of gravity of body). is this possible to test? Maybe! you try to open new way..new think and new world for people. thanx and so so so congratulation! سفر زيباتون رو بهتون تبريك ميگم. شما رويا و آرزويي رو كه من از بچه گي داشتم رو برآورده كردين. سفر شما به ايستگاه بين المللي باعث شد تا من بتونم از آينده خودم رو كه پيدا كرده بودم مطمئن بشم. كمكم كنيد تا بتونم مثل شما به آرزوم برسم. مي خوام تك تك گام هايي رو كه برداشتيد رو به من بگيد تا منم برم. ميخوام رشته شما رو ادامه بدم. يعني برق و …. من شما رو از زماني كه جايزه Ansari X-Prize رو دادين شناختم و با شما آشنا شدم. مي خوام بشم مثل مثل شما. كمكم كنيد. من به كمك شما احتياج دارم. تنها كسي هستيد كه مي توانيد كمكم كنيد. آرزوي من از بعد از سفر شما پيشرفت كرده. تا 18 سپتامبر 2006 فكر مي كردم كه مي خوام برم فضا. اما الان مي گم مي خوام اولين انساني باشم كه سال 2013 روي مريخ قدم مي گذارد . آن هم با شاتلي كه خودم طراحي كردم و ساخته شده. من منتظر ميل شما هستم. بايد با شما حرف بزنم. من مني‍ژه ، 18 سالم است . من تهران زندگي مي كنم . I have only just today read your marvelous blog and must thank you for taking me into space with you. The intimacy of space became real as you moved around, ate, got queasy — and didn’t hold back details that might ‘sandpaper’ the experience for us. That you were wise enough to spend your own money this way is really splendid. Your writing us is priceless. I remember how the first astronauts could only express their wonder and awe with the equivalent of ‘WOW’. We here who pay through our taxes etc. were grateful but have always longed for, needed more. You gave us SO much: your look at the stars of our universe, yes. But who except you gave us a feel for the universe ? as you press up against the window to get as close as possible until it’s too cold. I thank you again. I know you came back with a feeling of how close we all really are to one another (but I think you went ‘up’ there feeling that way, too). اميدوارم بااين همه نيروي مثبت كه حامي شما و افكار قشنگتون هست به روياهاي قشنگ ديگتون كه تو ذهنتون هست دست پيدا كنيد و همه اين رو مي دونيم سفر شما به فضا اولين قدم براي رسيدن به كوچكترن روياي شما بود و شما يك الگوي بسيار عالي براي رسيدن همه ي آدماي روي زمين به اهدافشون هستيد و همچنين يك حامي براي من و روياهاي من و وطن عزيزم ايران با مردم باهوش و خونگرمش . بهترين لحظات رو براي شما و خانواده(به خصوص حميد وامير عزيز)وهمه ي كساني كه در موفقيت شما نقشي داشتند رو از خداي خودم آرزو مي كنم. Congratulation on your successful journey.My teenage children look at you as a role model. سلام. من از ایران از یک شهر کوچک برای شما نامه مینویسم از اراک! شایداز فضا از ایران که رد شدید یک نقطه تاریکی دیدهباشیدکه شاید همون باشه.میدونم شما 23 ساله ایران نیامدید.زیاد وقتت رو نمی گیرم.من یک پسر 16 ساله بیشتر نیستم!من از5سالگی آرزوی رفتن به فضا رو داشتم یا بهتر بگم آرزوی یک کاری که بتونم اسمم همیشه باقی بمونه یک کار مفید برای دنیا یا برای کشورم! علما وقتي 2 تا ماه در آسمون ديدند اعلام کردند که مردم بايد 60 روز روزه بگيرند. Congratulations and thank you very much for sharing your experience with the world through your writing and your blog. I am glad you have returned safely and have shown us that it is possible to realise your dreams through hard work, sacrifice and dedication. I am still deeply touched by your courage and by the experience I can only imagine you must have had in outer space. I have always been a dreamer and space always looked extremely inviting to me, but you have brought it that much closer to my own reality. I believe that you are a pioneer and I can just imagine how peaceful Earth must look from up there. My mind cannot fully comprehend being detached from the place where we were born and to view it from up high. I am blown away. You are one of the very first people to describe the experience in such vivid detail. I watched your interview on CNN on your first or second day, when you described what space smells like. That was truly next level and so real. Hopefully one day, I’ll be able to experience your experience in my own way. Thanks for spreading hope and for sharing your experience with the rest of the world. Like other people which mentioned their messages above and below, I want to congratulate you and your family to be so brave, you earn a great success for yourself & Iranian people specially iranian weman. I am sure that we will hear more good news about you very soon. Congratulations for happy and safe return to the Planet. I trust that you did the great job by traveling to space and you have opend the windows of the hope for the Iranians to step forward firmly. shoma ba etemad be nafse va energy mosbate khodet baese taghviat va afzayesh etemad be nafs va khod bavari man shodi va hamchenin mano baraye residan be arezoha va royaham omidvar kardi.shoma manaye vagheyeh khastan tavanestan hast ro be man fahmondi.az inke hamvatani be shojaat va poshtkare shoma daram be khodam mibalam va ehsase ghoror mikonam va az hese khodbavari ke dar man va afradi mesle man ejad kardi azat samimane tashakor mikonam.kheli dost daram az shoma bishtar bedonam va ba moshkelat va mavaneye ke bar sare rah baraye residan be alayeghet dashty bishtar bedonam.anosheh jan omidvaram in safar pish zamineye baraye residan be arezohaye badit bode bashe va be tamame arezohaye ke dar sar dari be behtrain nahve momken beresi. dar akhar inke kheli dostet daram va age javabe nazar mano bedi kheli khoshhal misham. Congratulations, I want to thank you for sharing your experience in this trip with us through this portal. I moved to US when I was 17 and I learned about you at GMU ECE Department. Back then, you inspired me to continue my education in engineering field, and now you inspire me again. I learned I can dream; and I can work hard to make my dream come true. I wish you great success in future. ghab az harchiz bazgashte porefrekharetono tabrik migam u nemone yek ensane shoja va maye eftekhare hame irania makhsosan khanomha hastid man ham mesele u bache ke bodam shaba be asemon negah mikardam ketabe safar be manzome shamsi ro mikhondam be mah khire mishodamo arezo mikardam yeki az on bala biyado mano be asemon bebare ta az nazdik on bala ro bebinam.har vaght az in royam ba kasi sohbat mikardam be man mikhandidano migoftan bachas nemifahme chi mige hala az on roza salha migzare vali man bazam hamon arezoro daram ba inke bozorg shodam.bekhatere in alaghe tanha kari ke mitonestam bekonam zaminshenasi khondam. khanom ansari aziz man be e_mailetonam mail zadam nemidonam be u resid ya na khili dost daram javabe mailamo bedid khili doseton daram. az khodaye bozorg mikham hame kasani ke arezohay bozorg darano be arezohashon beresone makhsosan iraniya va bazam makhsosan khanomaye irani. ba arezoye movafaghiyate bishtar baraye u va khanevade mohtarameton. im very very hapy that a iranian women can go to space whit proud. http://anoushehansari.com/videos.php and YouTube channel SpaceAdventurer.